On this tab some functions can be configured to be executed by accelerator keys. The function for which the accelerator should be configured. A list of available keyboard key for the given function. 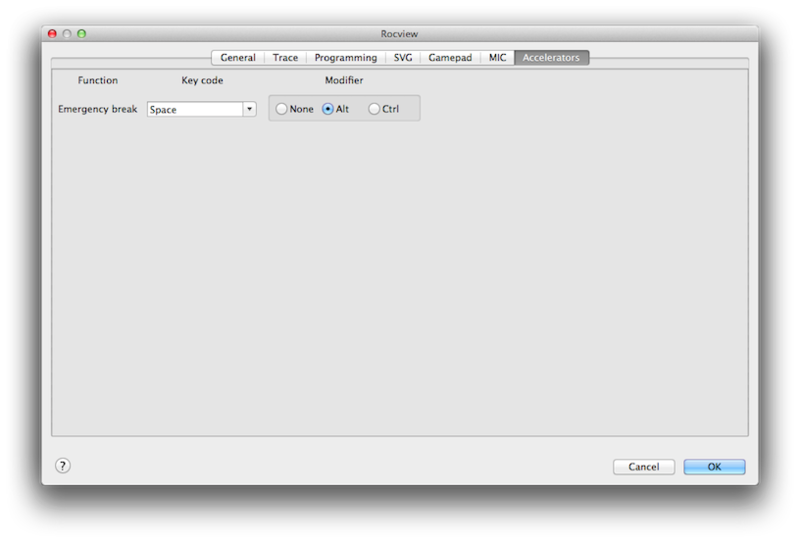 The modifier is optional but advised is to use a combination which is not already used by the Operating System.